Hannah was so excited to get to spend time with her Daddy and Nana this evening at Disney on Ice. The show is Disney's Dare to Dream which centers on Rapunzel, her favorite princess right now. I think she told everyone she saw today that she was going to "Rapunzel on Ice" tonight and that they get to ride the Dart train to get there. I am sure that they will have a blast and she is planning to tell me all about it tomorrow. Olivia Kate is here! 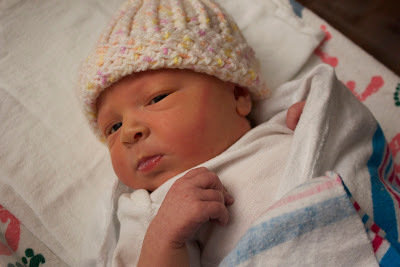 She was born on Monday, March 19 at 8:48 AM weighing 8 lbs, 13 ounces and is 20 3/4 inches long. We are all doing well and having a blast! More pictures coming soon! We are celebrating seven wonderful, happy years of marriage today! I can't wait to see what new adventures are in store for us starting with the birth of our second baby girl today! Chet, I love you so much! 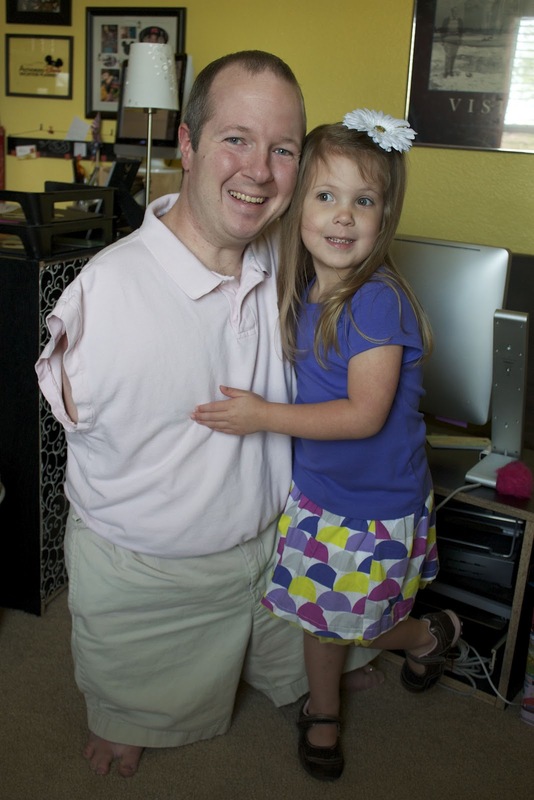 I am so proud that you are my husband and the father of our girls! 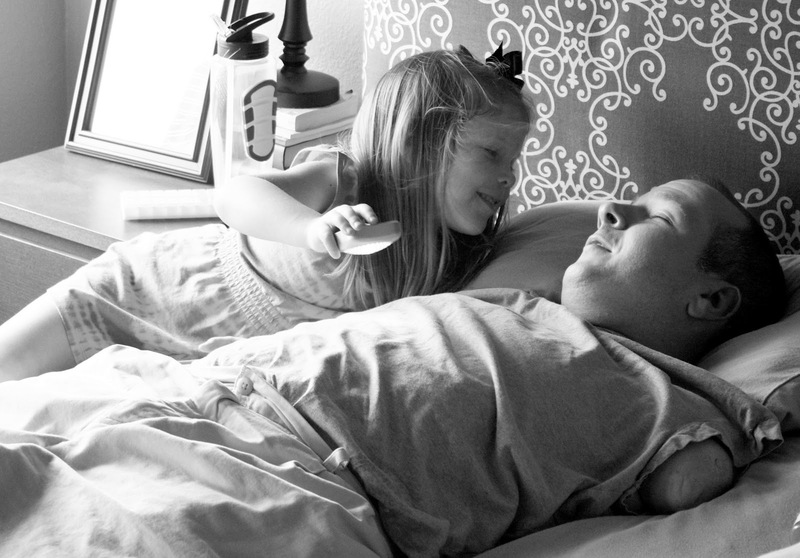 No doubt about it... Hannah loves her Daddy and he loves her! All I can hear from the other room right now is sweet little giggles as she is talking with her Daddy. For her birthday present, Mamaw and Grandad decided to take Hannah to the American Girl Store and Bistro. I found these cute matching outfits for her and her doll to wear. She was so excited this morning and told me that her doll, Jill, was excited, too. We went last year for her birthday and she has been asking to go back since then. I can't wait to hear all about it! Hannah loves her family and friends! She loves spending time with her cousins, grandparents, aunts and uncles and is always asking when she can go see them again. She is very compassionate and caring and always wants to make sure everyone and everything is okay. 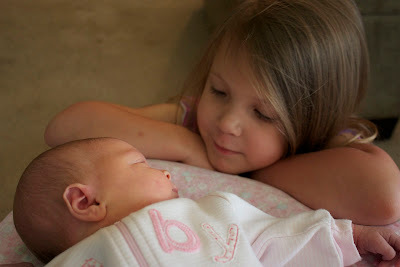 She cannot wait to be a big sister and is getting as impatient as I am for Olivia's arrival! 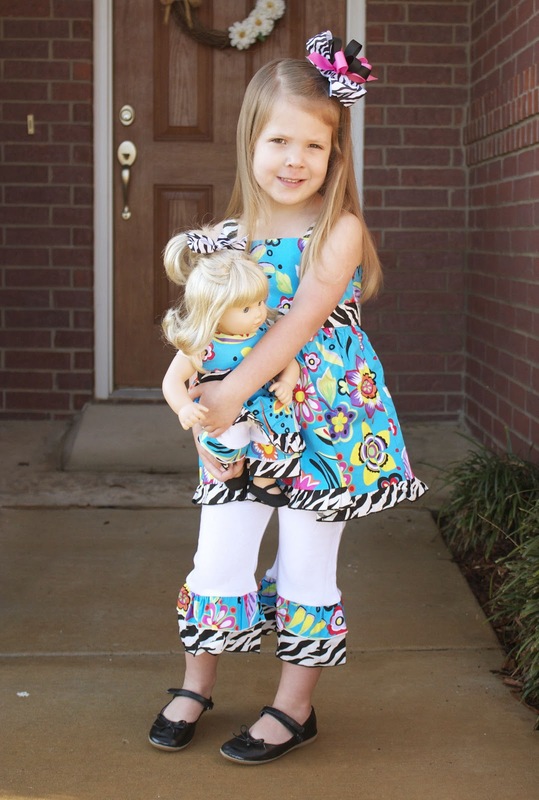 Hannah has an incredible imagination and loves to play dress-up, have tea-parties with her dolls, play house and school. Sometimes her imagination gets the best of her when she thinks that there are Yetis in our house! 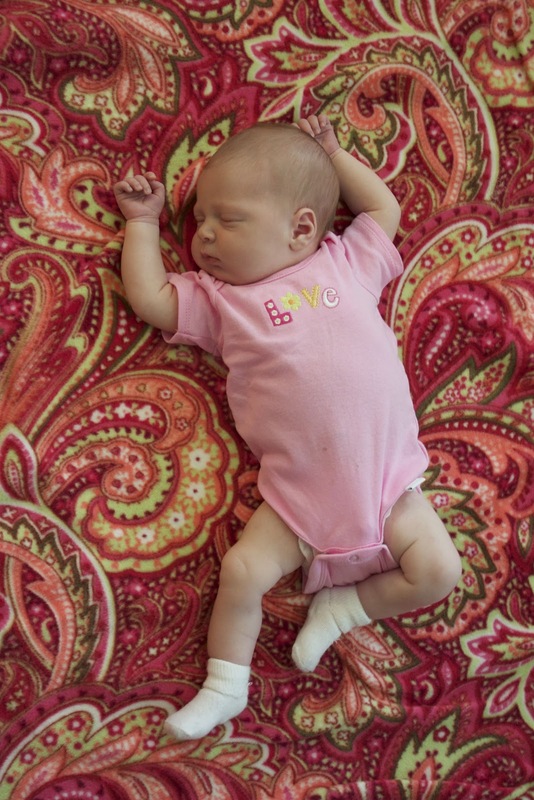 Hannah has inherited our love of music and the theater. 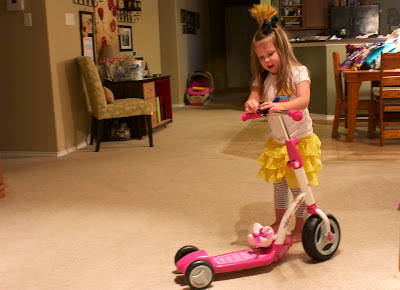 She is always singing and dancing and won't sit in a quiet room or car very long without requesting to listen to music. She usually has a specific request that varies anywhere from Disney's Imagination Movers to Glee music to the Hairspray Musical soundtrack. Her favorite song right now is FFH's It's a Good Day. I love hearing her belt that out and other worship songs! She loves to go see stage shows and is really bugging us right now to go see Wicked. 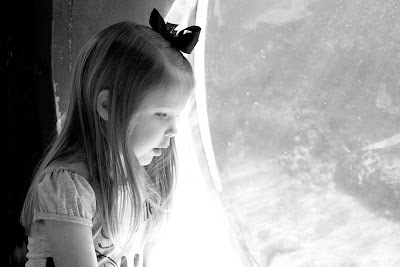 We told her the other day that she needed to be at least ten years old before she could see that. She responded with, "But when I am ten, I will have homework and can't go!" Hannah also inherited my love to be creative. She loves to color, paint, draw, and just create things. For Christmas, she asked for and received Legos. She spends a lot of time building new houses and buildings with them. Her drawing skills have evolved in the last few months from random scribbles to recognizable shapes and people. She mostly draws her family members right now. Hannah loves to play video games especially with her daddy. They sit and play together on his computer anything from time management games to Star Wars. Several nights a week after dinner, we turn on the XBox Kinect and she navigates our way through Disneyland where we play the games together, dance with Dora, or she plays with her bear or cat on Kinectimals. Hannah talks all of the time! And half of that is asking questions. 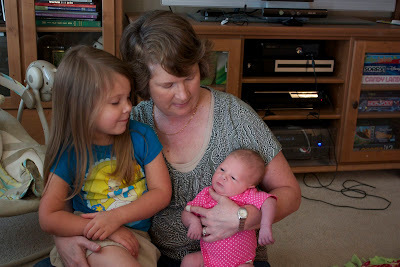 She is very inquisitive and wants to know what everything is, how it works, and why something is the way it is. 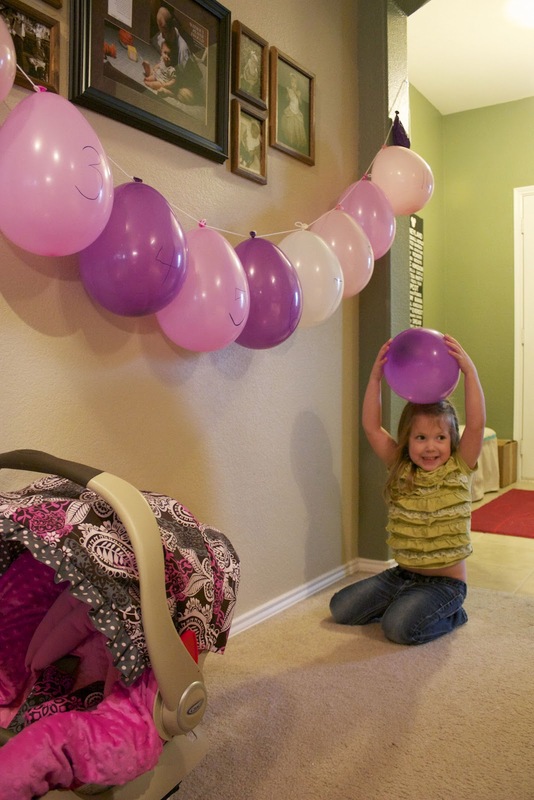 She loves going to school and is counting down until she can go to "big kid" school. She can write her name and almost all of her letters and is always asking us how to spell things. She is very independent and has to do everything herself and her own way. Her favorite color is purple with pink in a close second. Everything must be pink or purple right now. She is even planning that when she is a grown-up, she wants to have a pink and purple stripe car. As you would expect, Hannah loves to travel especially to the Disney destinations and counts down the days until our next trip. Staying in a hotel is a fun treat and often asks us to stay at one even when we are in town. She is a little frustrated because this is one of the longer in between Disney trips that we have had in awhile but is spending the time planning what we will do next time. Our sweet Hannah turned four years old today! It has definitely been a great day! 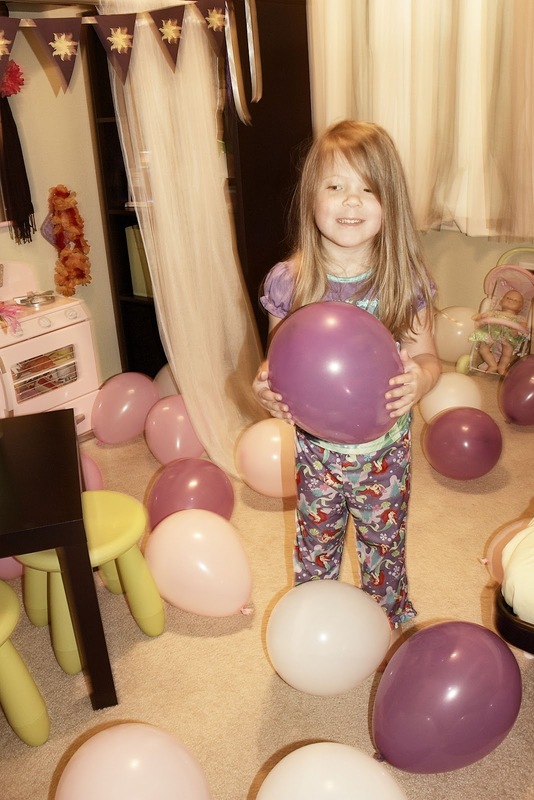 She started the day waking up to a room filled with pink and purple balloons. 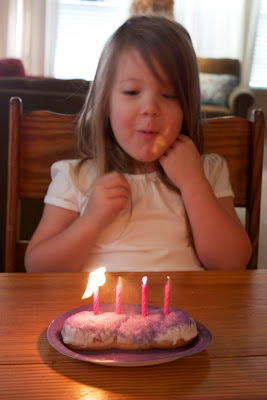 Then she had a special birthday breakfast of a donut with purple sprinkles before heading off to school. 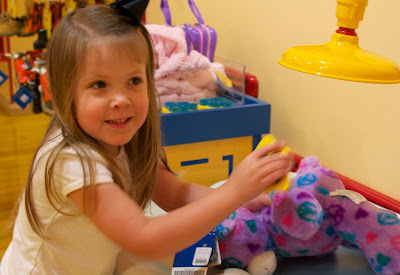 After school, we headed to the mall where we did some shopping at the Disney store, stuffed a new bear at Build-a-Bear, and had dinner at the Rainforest Cafe. We splurged for her birthday and got the volcano dessert at the restaurant. Delicious (and rich!) 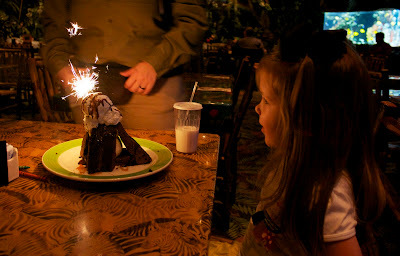 brownie cake, ice cream, and chocolate and carmel syrups complete with a sparkler was the perfect treat to celebrate her birthday! After dinner, we headed back home for a few presents from Mom and Dad. She only asked for two things for her birthday: a scooter and an Angelina Ballerina doll. It has been such a great day! She asked me several times today, "Am I four yet?," almost like she couldn't believe it! No matter how many days we spend at the zoo, Hannah is always so inquisitive about the animals and loves to watch and study them. 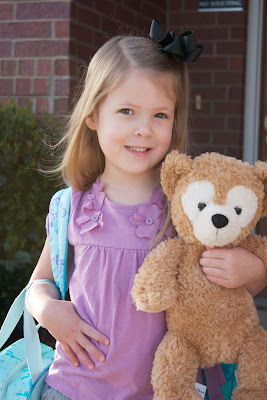 Today is the Teddy Bear Tea Party at school. Hannah picked her Disney Duffy Bear to go with her. She talked to him all morning about what they were going to do at school today and kept telling me how excited he was to go to school. Precious girl!